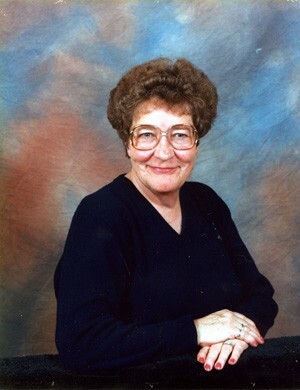 MITCHELL — Mary Elizabeth Cotton Anders, 79, died in Mitchell, Wednesday, Dec. 5, 2012. Funeral Service will be at 2 p.m. Tuesday, Dec.11, at First Christian Church, Scottsbluff. Viewing will be Monday, Dec. 10, 4 to 8 pm, Dugan-Kramer Funeral Chapel in Scottsbluff. Mary was born March 9, 1933 in Torrington, Wyo., to Fern Elizabeth Sanders and Homer Bentley Cotton, she joined her three living siblings on their wheat farm in Iowa Center near Chugwater, Wyo. In 1938, they moved to Scottsbluff. Mary graduated from Scottsbluff High School in 1951. She attended junior college in Scottsbluff. Mary taught K – 8th in the Nebraska Unified School District east of Pine Bluffs, Wyo. and 8th grade in Morrill, Nebraska. She married Dale Anders Oct. 20, 1957 at First Christian Church in Scottsbluff (divorced in 1980). In their early years, they lived in Pueblo, Colo. In 1961, they moved back to Scottsbluff. Dale worked in the bean business affording Mary her wish to remain home with the children. She began searching her family roots in the early 1960s, leading to a lifelong passion for genealogy and history. Mary taught courses on the topic and authored Sanders Saga, A Cadwell Account, Iowa Center Journal, and other books. She was a founding member of the Rebecca Winters Genealogical Society. Her roots in the Iowa Center, Wyo. and Scottsbluff communities went deep. She loved connecting with her friends and family through the years, including all her high school reunions. Survivors include Edna M. Cotton, Colorado, Kevin, Laura, and Jessica Anders, Wyoming, Kristina, Rick, Kadia, and Kalea Miller Wyoming, Tisa M. Anders, Colorado, several nephews and nieces and their families. Preceding Mary in death were her parents; siblings, Arthur Cotton, Edward Cotton, and Effie DeWitt; and daughters Lisa and Andrea.